Minister of health, Professor Isaac Adewole, yesterday unveiled the second National Strategic Health Development Plan for effective health care delivery in the country.Besides, the minister ruled out the possibility of settling the May and June salaries of health workers in federal health facilities across the country.He announced the introduction of the second blueprint for the health policy implementation at the 61st National Council on Health Meeting in Kano.He pointed out that the five years road map, which would be implemented between 2018 and 2022, hinged primarily on achieving Universal Health Coverage in the country. The minister explained that the second plan, built on the successes and challenges of the first plan, which terminated in 2015, also placed priority attention on Federal Government’s economic recovery plan and United Nations Sustainable Development Goals (SDGs) on quality health care delivery. “The Second National Strategic Health Development Plan is well articulated and robust with a five-year road map for policy implementation on improved health and well-being of Nigerians. It will foster health promotion, intervention and prioritise health burden in the country.“It is more inclusive of all the uncompleted projection of the first plan and this focuses essentially on universal health coverage and Federal Government’s economic recovery plan and SDGs,” he stated. 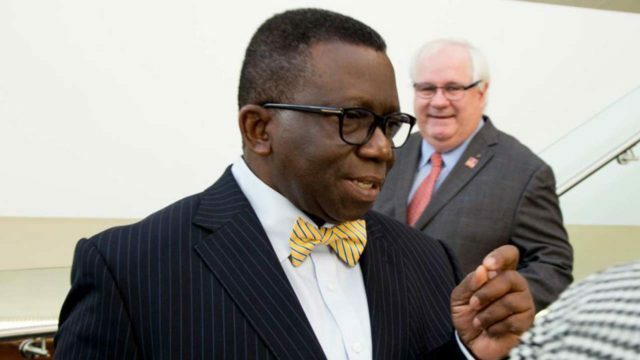 Briefing the council on some of the achievements recorded by the ministry, Adewole disclosed that cases of Meningitis were reduced by 77 per cent in 2018 when compared with the alarming rate of 2017.Responding, Kano State Governor, Abdullahi Umar Ganduje, said his administration had lifted embargo on employment in the health sector to meet the manpower shortage in the state. He explained that over 1,000 primary and secondary health facilities were upgraded with state of the art facilitates in line with his administration’s resolve to prioritise health. Meanwhile, a non-governmental organisation, Plan International Nigeria (PIN), has said Nigeria may not achieve its Universal Health Coverage without access and implementation of Community Health System.Its head of Health Programme, Dr. Kabir Atta, who said this yesterday, argued that implementation of policies and action plan on health could only yield the desired results with effective deployment of information data system. Atta, who presented the harmonised Community Health System platform at the 61st National Council on Health Meeting in Kano, pointed out that PIN successfully activated the implementation of the platform 10 years after its review.He explained that health information data system, which is presently being used in Sokoto and Bauchi states, has enhanced the Global Strategic Goal projects implemented by PIN in the two states.